Note: Xenoblade Chronicles 3D will only work on the New Nintendo 3DS XL or New Nintendo 3DS (not released in America). You can not play this game on an original Nintendo 3DS, Nintendo 3DS XL, or Nintendo 2DS. Usually remakes are made to improve the graphical fidelity of an old game, improve on outdated game design, or in a few cases both. That is what’s so weird about Xenoblade Chronicles 3D: it does none of that. 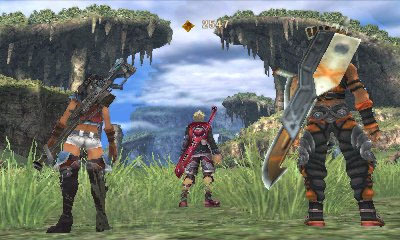 In fact, Xenoblade Chronicles 3D looks uglier than its Wii counterpart. But, don’t worry, Xenoblade Chronicles 3D is still the fun, deep and expansive JRPG that it was on the Wii. The story of Xenoblade Chronicles 3D at first seems your standard JRPG fare. You play as Shulk, a young hom (human) from a village in the middle of nowhere – otherwise known as Colony 9. One day Colony 9 is attacked by the Mechons (machines who try to kill and eat the Homs), causing Shulk and his best friend Rein to go on a quest to avenge Colony 9. However, through many twists and turns the story quickly evolves into something much more interesting and complex. The story isn’t just about Shulk, it’s also about the Monado (a special sword). The Monado is the only weapon that can hurt the Mechon andtheoretically may save the Homs and create a world of peace and tranquility. However, like most wars, conflicts and crusades, the fight against the Mechons has costs and consequences which the characters must face. 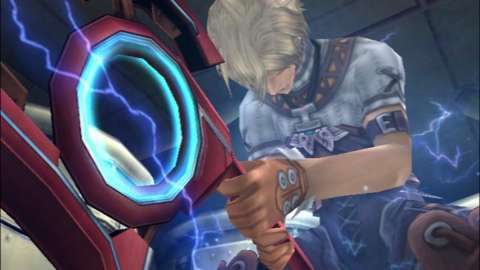 Similarly, the Monado also allows Shulk to see into the future, meaning that throughout the story he must struggle to contend with watching characters he loves and cares about being killed before his very eyes, while being powerless to stop it. The story does have dark tones and explores the theme of death, but is amazing because of it. Xenoblade Chronicle 3D has one of the best stories I have ever experienced in a video game. Also, for those worried that Xenoblade Chronicles 3D will be too sombre and serious, don’t worry. The banterous conversations between your party members is more than enough to lighten the mood. You will genuinely care about these characters and the struggles and hardships they have to face. 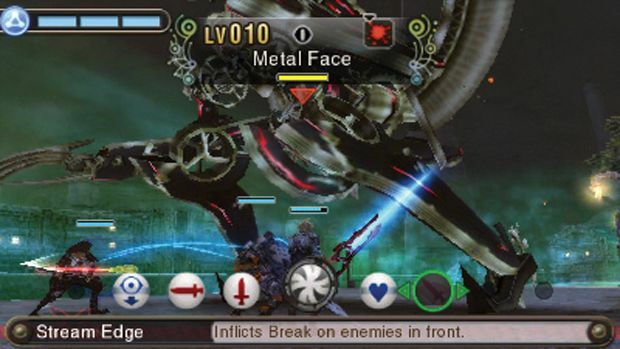 Nevertheless, the one downside of Xenoblade Chronicles 3D are the visuals. The textures, colour saturation and clarity are all noticeably worse than the original Xenoblade Chronicles. Also, while the 3D isn’t bad, it’s nothing special either. Though, in fairness, squashing one of the largest, most ambitious games on Wii into a significantly less powerful handheld is a feat in itself. But, I’m glad to say that Xenoblade Chronicles 3D’s draw distance and frame rate are extremely impressive for a game of its size. Xenoblade Chronicles 3D sounds just as amazing as its Wii counterpart. You’ll still be rocking out to the Gaur Plains theme like you were three years ago. The voice acting is also expertly done. The voice actors are British; so, it’s a bit different from the usual American slang we hear in most localised JRPGs. I really like it – though I might be a bit biased. Nevertheless, if you don’t like the English voice acting I’m afraid you’re stuck because the original Japanese voice acting has been cut completely, probably due to cartridge space. 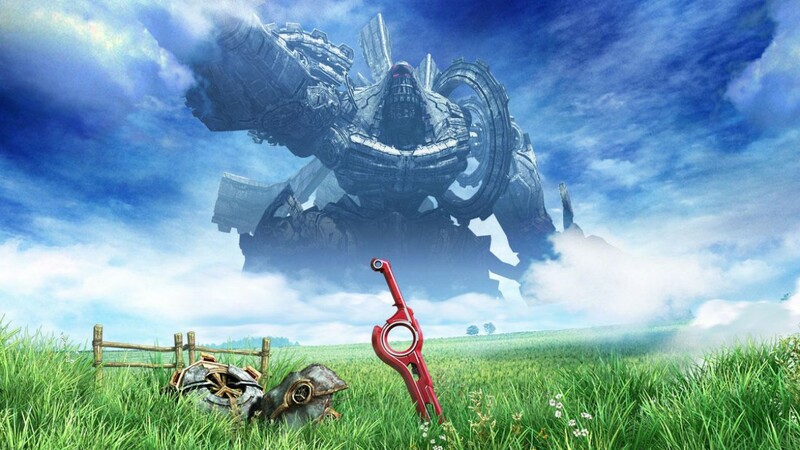 Gameplay is where Xenoblade Chronicles 3D truly shines; you’ll explore a huge world filled to the brim with deadly monsters, some of which you’ll be prepared for and others you won’t. Its battle systems stands out in particular. 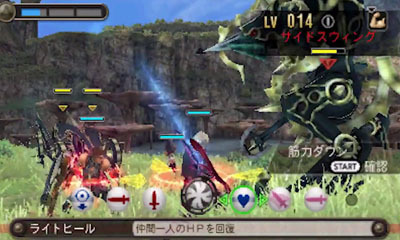 Xenoblade Chronicles 3D’s battle system is all in real-time and characters in your party will attack automatically when they get close enough to the enemy that you’re fighting. Your job is to select the right arts (special moves) at the right time and in the right position for your specific character to create combos with your computer-controlled teammates. During battles, you’ll have to juggle using your arts enough for them to level up, while making sure you don’t directly attract the enemy’s aggro (attention) and allowing them time to fill up again. Moreover, your AI-controlled teammates are never frustrating and will always do what’s logical, making it feel like you’re playing with actual humans instead of a computer. Furthermore, the Monado’s abilities aren’t exclusive to Xenoblade Chronicles 3D’s story; it also directly affects the battle system. 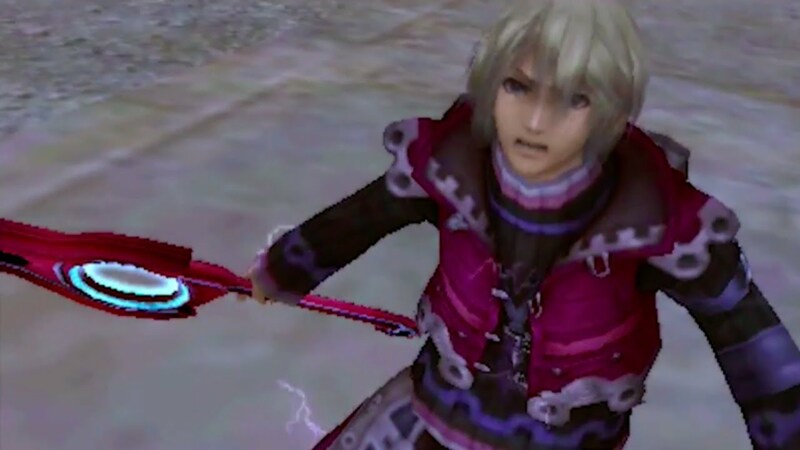 When fighting Mechon you will have to change your battle strategies as Shulk (the holder of the Monado) is the only party member who can harm the them. This adds diversity to the battle system as well as adding an extra layer of difficulty making you legitimately fear the Mechon, especially later on. Similarly, in certain boss battles Shulk will get a glimpse of a boss’s future attack giving the player seconds to counter the potentially lethal hit. This can happen at any point and really adds suspense during boss battles. Xenoblade Chronicle 3D trims off a lot of the fat associated with the JRPG genre: there are no save points or returning to quest givers. While adding abilities that really help speed the whole game up such as the ability to change the in-game clock at will, story memos, a low death penalty (you keep all experience, items and loot) and fast travel. While Xenoblade Chronicles 3D is a long JRPG, it is far from tedious. Xenoblade Chronicles 3D changes very little from the original Xenoblade Chronicles, aside from the inferior visuals. In fact the only new addition is a “collection mode,” where you can view character models in different outfits, or listen to Xenoblade Chronicles 3D’s soundtrack. 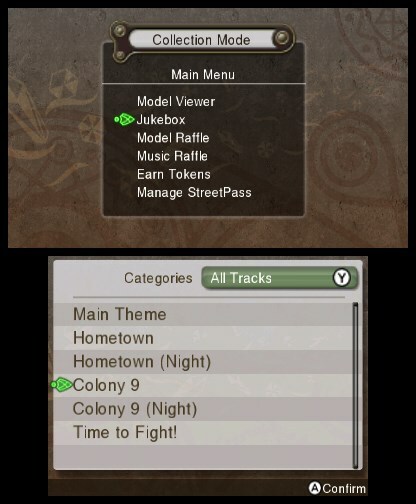 The one downside with collection mode is that instead of earning the 3D models or songs as you progress through the story, you will unlock the models and songs and then have to earn them through a raffle. Yes, a raffle! You can either spend one token and get a random 3D model or song, or spend three and be guaranteed a new one. To make it worse, getting tokens isn’t exactly easy: you can either get them through StreetPass, spending five play coins for one token or using you Shulk Amiibo for three tokens per day – because everybody has one of those. If you are sick of a modern JRPG genre full of typical story lines and out-dated mechanics, look no further that Xenoblade Chronicles 3D. Sure, it’s not the prettiest game in the world and collection mode can be frustrating, but that can’t take away from one of the most fantastic, magical and unique JRPGs of the last 15 years. If you missed this gem on Wii and don’t have a spare $100, you owe it to yourself to pick this game up right away. So yes, Xenoblade Chronicles 3D isn’t the best remake in the world, but when I’m ‘black slashing’ enemies across the Gaur Plains I honestly couldn’t care less. Previous PostPrevious PostNext PostThe Witcher 3: Wild Hunt Achievements and Trophies Galore!